Here’s a workaround trick on how to install Cinema APK on Smart TV. Now, access Cinema APK movies on any Android TV / Box. Watching the high-quality movies on a large screen will make your movie experience go crazy. When you have a Cinema APK then it’ll automatically offer the latest movies/tv shows for free. Even if you have a local storage then you can download the content and watch them later. Once you have installed the app, you can sit down with a bucket of Popcorn and start watching free content. To install the app you’ll have to follow the below guide. If you’ve Firestick, Kodi, Roku, NVidia Shield, or Chromecast then follow respective methods from below links. These streaming devices are useful for non-Android TVs. If you don’t have then skip them and follow up the guide below. 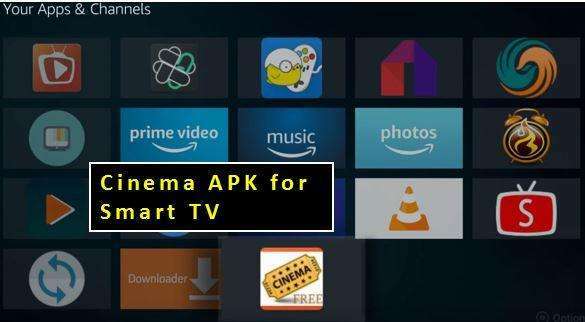 Remember that, Cinema APK is not officially available on Smart TVs and any other stores. So, we need to side-load the app manually. Nothing to worry, it require few simple steps only. Let’s get in to the guide. In the first step, Turn on the “Unknown Sources” option on your Smart TV. You can do this from here, Settings > Security & Restrictions. Go to Google Play Store and search for “ES File Explorer” by ES Global. Install it as like any other Play store app. Part 3: Download Cinema HD to TV using ES File Explorer. Visit the “Favorite” and click on “Add”. Enter this URL, “https://cinemaapk.net/cinemaapk.apk” in the URL field. Enter “Cinema HD TV” in the name filed. Come back to “Favorite” and click on “Cinema TV” bookmark. The apk file will start downloading. Go to the download folder where the app was saved. Follow the screen steps and complete installation of the app. Editors Tip: If you have a Pen drive, Download the Cinema APK to PC and then copy it to Pen drive. Connect the Pen drive to your TV and you can install from it. This great content isn’t intended for only Android Smart TVs but also works for normal Smart TVs if you buy streaming devices listed above. However, Cinema APK is perfectly built for all latest Smart TVs. It works!!! If not, comment below.